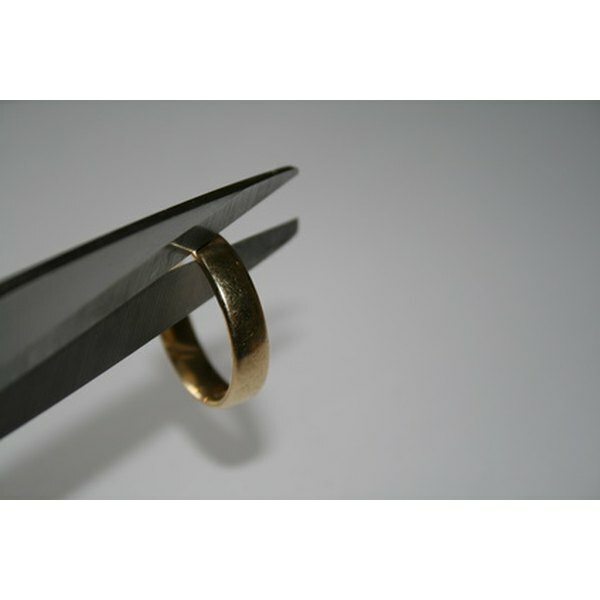 What Is the Meaning of Absolute Divorce in Maryland? The process of divorce is usually highly stressful to a couple, and unfamiliarity with legal terms can add to the difficulty. Legal aid services advise consulting with an attorney at the time of separation. If you will be obtaining a divorce in Maryland, based on you or your spouse living there for at last one year, you can learn more about how the Old Line State defines applicable terms. Maryland courts, like those throughout the United States, look at married persons as having entered into a contract. The Maryland Legislature enacts laws to protect the state’s interests in preserving families. In the case of your potential divorce, Maryland courts may determine who was at fault in the breakup of the marriage, visitation rights, and custody of minor children and property division. Maryland allows for a limited divorce. In these cases, a court supervises the separation of the couple, providing financial relief if needed and resolving questions regarding the children, without dissolving the marriage. An absolute divorce dissolves the marriage, unlike a limited divorce, which acts as a separation agreement. If you don’t need spousal support and don’t have property to divide, you generally will not need a limited divorce. The parties are free to remarry after obtaining an absolute divorce in Maryland. Absolute divorce terminates property claims. Neither party can inherit property from the other, notes the Women’s Law Center of Maryland, a nonprofit corporation based in Towson, in its pamphlet titled “Legal Rights in Marriage and Divorce in Maryland.” Property owned during the marriage jointly as husband and wife becomes property held in common, such that each owns half the property. A woman may ask the court to order that she resume her birth name. The law center notes that these requests are almost always granted and are less expensive than returning to court later. A spouse must prove that at least one or more of Maryland’s eight allowable grounds for divorce exist. These are adultery, desertion, voluntary separation for 12 months, two-year separation, cruelty of treatment, domestic violence, conviction of a crime and insanity. You do not need to get a limited divorce before an absolute divorce, as noted in the Maryland Annotated Code, in the Family Law section, subsection 7, notes the law center and the online Maryland Family Law website. The Maryland Legislature, which meets each year from January through April, can revise domestic relations laws. The Women’s Law Center recommends that you follow news reportage during this time to learn of possible changes in absolute divorce statutes. Your attorney also will be able to guide you on legislative changes.